YouView adds new-look BBC iPlayer and BBC Connected Red Button | What Hi-Fi? 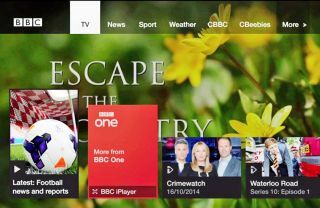 YouView has announced that customers can now access the new-look BBC iPlayer – as well as BBC Connected Red Button services – through the on-demand TV service. The addition of the new-look iPlayer is designed to help YouView subscribers find their favourite BBC shows more easily, while also offering exclusive iPlayer content. MORE: BBC launches new iPlayer "for a multiscreen world"
Meanwhile, BBC Connected Red Button's presence in the YouView line-up will allow customers to view more video and streaming content: from news, to weather, and more. YouView CEO Richard Halton said: "New BBC iPlayer and BBC Connected Red Button are just two of the many ways we’re evolving and improving the YouView on demand TV service." The new-look iPlayer and BBC Connected Red Button have now been launched in a "staggered rollout" for Humax retail and BT set-top boxes, with TalkTalk boxes to follow.